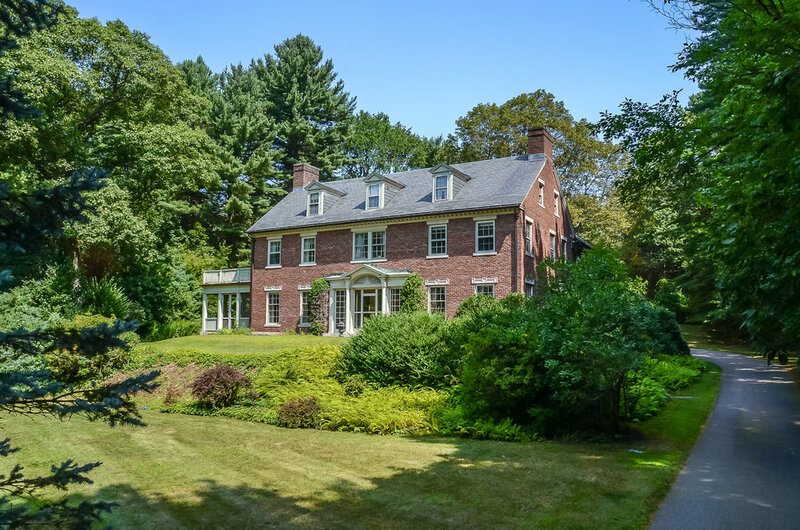 Lisa Curlett is one of the most successful luxury residential real estate professionals in Weston, Wellesley, Wayland and the surrounding towns. She joined the real estate business in 2002 and has been a consistent top producer throughout her career. Lisa has achieved her strong, positive results through her unwavering commitment to provide her clients with the highest standard of personalized service, to work with their best interests at heart and to share with them her market knowledge and community expertise. Her background coupled with her popular, widely-read blogs enable her to offer valuable professional advice and insight on a multitude of subjects to her clients. Lisa received her undergraduate degree from Brown University and her MBA from Columbia University. She is a Certified Residential Specialist (CRS), Accredited Buyer’s Representative (ABR), Certified Negotiation Specialist, Accredited Staging Professional Real Estate Agent, and an acclaimed listing and selling agent. Lisa has lived in Weston with her family, including three beautiful children, since 1998. During this time, she has been involved with such community organizations as the Women’s Community League of Weston (WCL), Weston PTO, Weston Community Children’s Association (WCCA), Wellesley Mother’s Forum, Weston Newcomers Association, Weston Juniors and Weston Youth Lacrosse. Prior to her entry into residential real estate, Lisa worked as an executive search professional, first for the leading executive search firm, Korn/Ferry International, and then for Reebok International. She started her career working for public relations and advertising agencies in Boston and New York. Warm and charming, intelligent and knowledgeable plus a strong commitment to ethics and excellence, Lisa is the perfect choice to help you buy or sell your home. Real Estate professionals do not get better than Lisa. She is a true star whom I would recommend to anyone who is serious about working with the best. She found us our new house as well as sold our previous home in 3 days. She does the research, knows the market and has such a passion for helping her clients. My best advice, WORK WITH LISA! You will not regret it for a second. Lisa was outstanding! She helped us purchase and sell our home, and she was on top of everything. Always reachable, accommodating, very patient and went above and beyond - even after the closing! What is more impressive is her ability to also be caring and sensitive during the home buying and selling process. She also worked hard to get us the best deal on both transactions. We couldn’t be more pleased and wouldn't use anyone else!! We can not say enough wonderful things about Lisa Curlett. She was instrumental in the sale of our house, going above and beyond every step of the way. During the challenging moments when the deal almost fell apart, she was the voice of reason and our calm amongst the chaos. We chose Lisa as our agent for her integrity and professionalism. She exceeded our expectations. We highly recommend Lisa to anyone looking to buy or sell a home. You can’t go wrong with Lisa by your side. Lisa's diligence, deep insights and personal commitment to what was best for our family were fantastic. It was clear that our interests became hers and she was not going to be satisfied with just a "transaction." Lisa has insights into the market that go well beyond what we knew. Her strong network and diligent negotiations helped us make a great decision for our home purchase. Thank you, thank you, thank you! Lisa made the selling/moving process effortless. The greatest thing is her ability to navigate the emotions of a move with grace and honesty. I am sure that her skill in offering news in a positive but honest way is why so many of her deals get done. She knows the market so well, and is completely willing to share her opinion and offer guidance. There is never a question that she is working for her client. A funny thing happened while we were searching for homes with Lisa Curlett…we found a friend. We found Lisa Curlett to be the most honest, hardworking, intelligent, detail-oriented, and patient agent we have ever used…PERIOD. As our buyer’s agent, there wasn’t a moment that we didn’t have complete confidence that she was working in our best interest; that level of commitment and integrity in any profession is very hard to find. We would recommend Lisa to anyone who is planning on buying or selling a home. Who knew house hunting in Wellesley could be so daunting? Thankfully, we had Lisa to lead us, educate us and fight for us throughout the home buying process. I can say with 100% certainty that we would not be sitting in our beautiful home had we not had Lisa as our realtor. Her knowledge, experience and straightforward manner set us at ease right away. Her patience and commitment to helping us find the perfect home gave us the confidence to place our trust in her. Her expertise in this highly competitive housing market and her dedication to her clients go above and beyond expectation. Thanks for all your help, Lisa. You have been a real shining light in a tough process. You literally changed my mom’s life and were just what she needed to make the plunge to a better life. We honestly couldn’t have done it without you and your attention to detail. Thank you again for all you did for my family. This humble thank you is nowhere near enough for your thoughtfulness and dedication to finding us a home! We are loving Weston and feeling like it is the perfect town for our family. The [housewarming gift you gave us] is beautiful; it will serve as a reminder of our year together and all the funny times we had getting to know one another. You will forever be the favorite neighbor and by far the most amazing, outstanding real estate broker! Many thanks and much love. Thank you so much for all that you’ve done for us. You went above and beyond the usual Realtor duties in many ways, and you also were a constant source of support, valuable advice and optimism. We so appreciated the way in which you obviously cared about our well being and about selling our house too. Working with Lisa was a breeze. Her knowledge of the real estate market combined with her business background and strong ‘people’ skills made me feel like I was getting the best representation during my home search. I felt like she was always listening to me, giving her input and readily available to answer any questions, concerns or to find out additional information for me. In a profession where there is a lot of competition, Lisa is one of the best. She is a consummate professional and a patient confidante. She is second to none! My wife and I were trying to decide if we should sell our house or remodel. Lisa listened closely to our needs and what we were trying to achieve for our growing family. She worked hard to show us potential new houses, NEVER once putting any pressure on us to sell vs. remodel. She became one of our closest advisors during this process and helped us make an informed decision. We [decided] to purchase a new house and sell our old house with the goal of not carrying two mortgages. Thanks to Lisa’s help we were able to get our new house at below asking price and were able to get our old house ready for sale, and after one day on the market in February, Lisa presented an offer at our asking price. All of this was done simultaneously with Lisa’s support and guidance. There is no one better in my mind if you want to buy or sell real estate. We worked with Lisa for over 9 months in searching for the home we purchased in May 2016 and are currently living in. From the very moment we met, Lisa she was extremely responsive to our needs as clients. We had very specific criteria we were looking for in a home, and she supported our home search by adding value in finding homes with matching elements, introducing us to other relevant elements that would enhance our search and extensively providing comps to visited homes. She has a lot of knowledge of the Wellesley / Weston / Newton / Wayland suburbs and provided us with much needed education on the town statistics. Furthermore, her interaction with the realtors on the other side of the table made it very apparent she was looking out for our best interest. She is assertive, ambitious and yet very empathetic to her client's needs. Never once, did we feel that Lisa was pressuring us to make any rushed decisions. She worked with us for many months and with our best interest in mind - she is not in the business for the quick turnaround. We would work with Lisa again and highly recommend her! Lisa did a terrific job in helping us sell our house. In addition to the usual market analysis, she made insightful recommendations about areas that needed sprucing up and repainting, helped us interview and select a staging company and provided clear and useful input after each showing. During the negotiation process that resulted in the final sale, which was within 30 days of the listing, she was responsive, clear and professional in all of her actions and communications. She also helped in a proactive fashion with all the details attendant to the closing. Because of Lisa’s attention to detail, the process of selling our house was much less painless than it would have been otherwise. I can’t promise you a 30 day close, but rest assured you will get all of the other steps she took that resulted in ours. Weeks before our wedding during a very busy time, we fell in love with a house and decided to make a move which was completely not “in the plan.” It was stressful to consider buying a new house and needing to sell our current home in a timely manner. Lisa’s expertise was invaluable to us on both fronts. Having only been through the purchase and selling process once before, she guided us through every step. Any time we had a question or needed information, Lisa made herself available and was very responsive. Not only did we get the house we loved, but Lisa sold our existing home within a day of it going on the market! We truly enjoyed working with her and would not hesitate to recommend her to our friends and family. Lisa Curlett is the consummate professional whose hard work, commitment, and strong communication skills distinguish her from her real estate colleagues. She has a positive attitude and listens to the needs/wants of her clients; she doesn't just want to close deals for the sake of making money. She seeks 100% customer satisfaction and her knowledge and approach enable her to achieve this. In addition, Lisa is a true pleasure to work with and approaches each situation with a positive attitude and a smile. She makes a process which, at times, can be very frustrating and unsettling, relatively stress-free. Her attention to detail and responsiveness go unmatched. Being an entrepreneur myself, I understand the importance of these traits in completing any successful business transaction. I whole heartedly recommend her for any home buying or selling need. Lisa, thank you for your patience during this process and for your home searching ability. We know we wouldn’t homeowners in Wellesley without it! We are thankful for your help and will never forget the care you gave us during this transition. Thank you!! I cannot say enough about Lisa! Not only is she a dear friend, but she has helped me sell and purchase two homes since I have lived in Weston. While no transaction is without a wrinkle here and there, Lisa handled each issue deftly and worked diligently to keep all parties informed throughout the process from the P&S through the closing. Further, Lisa goes above and beyond the call of the average broker. From corralling a pair of cats prior to a showing, to helping to remove a basement fridge when the buyer decided last minute that they wanted it removed, to her thoughtful and meaningful housewarming gift at closing, Lisa is a consummate professional. I highly recommend Lisa to anyone who is looking to either purchase or sell property in Weston and the 'burbs. She is not only a fabulous Real Estate Professional, she is the perfect welcoming committee as well…. Having to pack up and sell a home owned by my Dad for 45 years within a month’s time was a daunting task. Lisa was by my side throughout, providing resources for moving companies, estate sales personnel, painters, carpenters, hardwood floor refurbishing and carpet installation. Lisa was such an insightful and caring person, who was always mindful of the emotional turmoil that can be experienced when selling a family home. Most importantly, Lisa priced the house fairly, and it sold quickly. She made the process for me effortless, and I am grateful to her for the professional and personal care she extended to my family. Choosing Lisa to sell our home was one of the best decisions we could have made! She is hard working, knowledgeable and kind. We enjoyed the whole process with Lisa from listing day through closing day. Her positive energy and enthusiasm for her business are contagious. I’m not surprised that she found us exactly the right buyer in such a short amount of time. We cannot recommend her highly enough. Lisa is a masterful, knowledgeable, and thoughtful real estate professional. She guided us through every aspect of preparing, listing, and selling our house. I was apprehensive about the process, but Lisa made the experience productive, easy, and even fun. I could not recommend her more highly. Lisa was terrific through our home buying experience from beginning to end. Starting with 6-hour days spent in the car with my wife and baby, through a difficult bidding, negotiation and inspection process, all the way to close, Lisa was always patient, thoughtful and a terrific listener. Most importantly, she was focused entirely on our needs, taking as much time as we needed and allowing us to come to our own conclusions. Lisa is intellectually curious, always looking for more information and following up beyond expectations. I can’t recommend Lisa strongly enough. We probably have the best ability to review Lisa Curlett as a broker. Our first home purchase was Lisa's first real estate transaction. The entire process was absolutely seamless. We have just purchased another home and used Lisa again for this recent transaction. Although we were truly impressed with her knowledge many years ago, there is no comparison to the breadth and depth that she understands the market now. Lisa has matured as an experienced negotiator and is a genius at bringing you through the transaction in an organized step-by-step process. Most importantly, after many years as a broker, Lisa still holds the highest standard of integrity and confidentiality. Trust is an essential component to finding the right broker to help you buy or sell a house. Lisa's personal integrity creates this immediately. We sold our condo in Weston. Lisa knew our location and property very well. She was professional and fun to work with. She was very easy to reach and responded to our calls and emails immediately. We asked her to do everything, and she did everything! She handled all issues with the buyer, the buyer's broker, the lawyers and the condo association, and the closing went through without a hitch. Couldn't have been more happy. She was also very helpful with staging and renovation advice. Our place never even went on the market - there was a buyer waiting for us at full price. That's ultimately what you hire a broker for!! Thank you, Lisa! Deciding to leave the city and move to the suburbs with two young children created thousands of unknowns for our family. Lisa provided us with clear and concise information allowing us to navigate numerous towns, many houses and ultimately find the right one. Lisa provided great research, comparables, and an understanding of the nuances which each town has. Not only was she extremely patient with us, she took the time to answer each question specifically providing perspective and context, making our decision easier. The transition to a new town was truly enjoyable and rewarding; not stressful like it can be, thanks to Lisa. We wouldn’t think of using anyone else to represent us in buying or selling a house. Lisa has helped me sell two houses and purchase three, all within Weston. The first set of transactions were in the Fall of 2007. When it was time to move again, in 2014, I never considered using another broker because I knew I could trust Lisa to be honest, professional, competent, detail oriented and always have a smile on her face! I have thoroughly enjoyed working with Lisa throughout what has been an otherwise stressful time. I am happy to say that Lisa went above and beyond what was customary in order to keep the process smooth and low stress for me. I highly recommend Lisa as a real estate professional. Lisa, you asked if we needed needed anything more from you. Yes, we want you to accept our gratitude and unbounded appreciation for all that you have done for us to bring this matter to contract. Your professionalism, focus, judgement, work ethic and, most of all, your perceptiveness and kindness was key to this transaction. We sincerely thank you. We can’t say enough good things about Lisa! As first-time home buyers, she walked us through the entire home buying process with skill and ease. We had a long list of ‘must-haves’ for our first home in the suburbs, and Lisa went above and beyond with helping us find our ‘perfect house.’ Lisa understands that buying a house is more than just a business transaction but also an emotional decision with a lot of variables. She is truly a consummate professional, who really went above and beyond the call of duty, and we would absolutely recommend her to anyone looking to either buy or sell a house. Thank you again for everything, Lisa!